An Ideal Alternative to Writing by Hand! 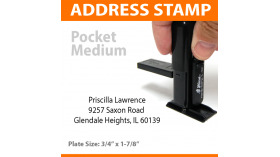 Useful: If you think about it, everybody needs at least one Practical: If you ever mail letters, postcards or greeting cards you have probably gone through the hassle of writing your mailing address again and again. 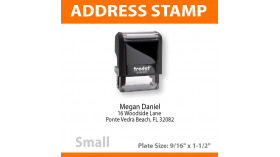 Every time you write your return address by hand you will remember that you need one of these stamps. 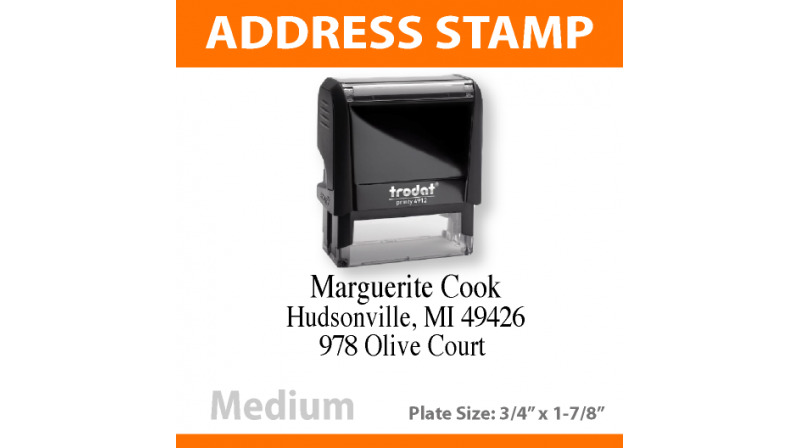 Better than labels: A custom self-inking stamp, with thousands of impressions is the perfect alternative to address labels (and who knows where they are anyway!). 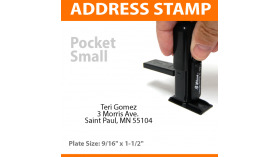 This stamp is compact, neat and after thousands of impressions, just replace the ink-pad or add more ink and voila! ready to print once again! Try that with labels. 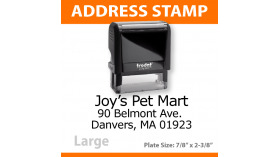 If you move in the future, you can order a replacement plate so you don't have to discard the whole stamp. 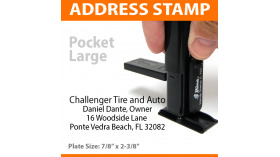 Never write your address by hand again!.